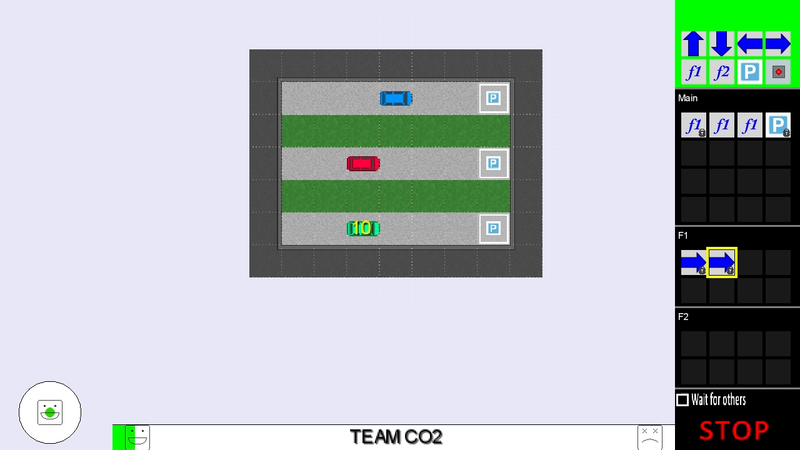 This is a grid based puzzle game where you use commands and functions to control cars to get them to parking spaces. The game used three computers connected to a server so each player controlled a car. The purpose of the game was to teach basic concepts of programming, problem solving and teamwork, while adding a small message on environmental awareness. The game was made for a nationwide school event called Blue Fusion, which students from schools around the Hampshire area came to compete against each other by playing games like Clean Commuter in order to gain interest in science, technology and maths. I was the project lead in a team of five, as well as the person responsible for the in-game graphics and most of the rendering using LibGDX. We worked on the game for over five months and we were able to complete the game in time for the week long event. Unfortunately, due to copyright and licensing, the game will not be available for download from me on any site, but I hope you appreciate these screenshots.